The grammar of regionalization of equitable development demands a continuum of cooperation and co-existence that subsumes the horizontal hiatus and vertical vagaries of geo-strategic and lego-political nature which establish peace, progress and prosperity in this part of the world. 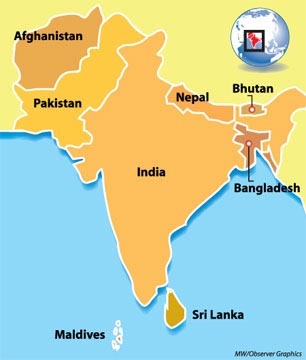 The most important challenge for SAARC lies in moving from the gamut of ideas to the executable road-map in realizing the vision of the grouping while maintaining an unprecedented regional momentum in commensurate with the changing scenario. This regional momentum must be spontaneous spurt paving the way of the peoples to be capable enough to harness the full potential of the South Asian region and to join the worldwide quest for economic growth and optimum development. However, SAARC should clinch its own rightful place among the comity of nations with its South Asian-ness approach that aspires to emulate the national standards, accountability, transparency-oriented policies reflected in the collectivity of action.